Apparently no performance increase is left, the first 1.2 pre builds were fast as lightning, the final 1.2 is as slow as 1.1.3. You can test it yourself. Amazingly enough, with lights on the editor crawls, lights off and it’s full speed. During the simulation, the lights have no effect on game time. 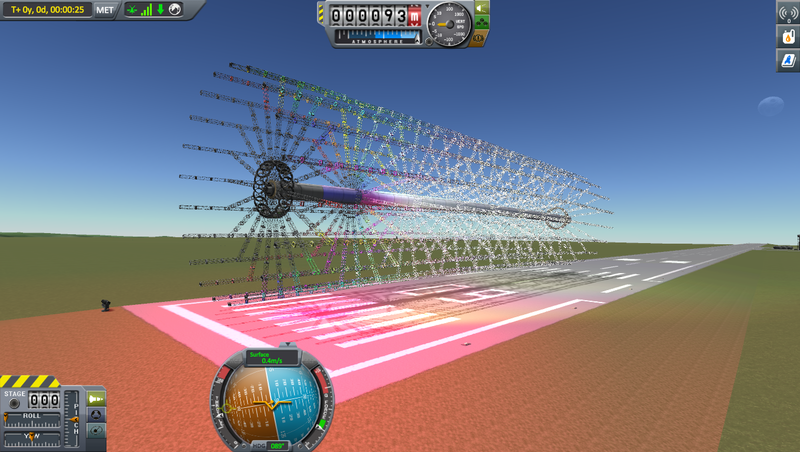 FPS KSP 1.2: idle 7, forces acting on it 6, with frequent spikes down to 4, game time 20-25% of real time. FPS KSP 1.1.3: idle 6, forces acting on it 5, seldom a spike down to 4, game time a steady 25% of real time. A stock thing called 77I- Performance Tester. Built with 1993 of the finest parts, its root part is mk3FuselageLF.100.